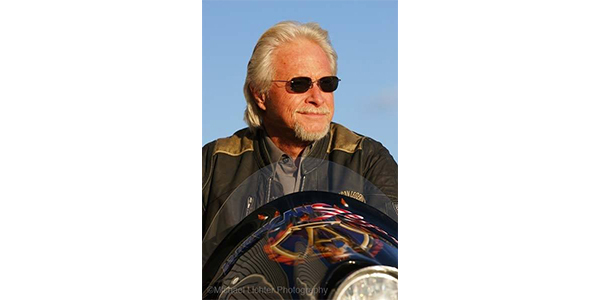 Known as “The King of Custom Motorcylces,” AMA Motorcycle Hall of Famer Arlen Ness, passed away on March 22, at age 79. According to AMA Motorcycle Hall of Fame: Ness is best known for his innovative and wild custom motorcycle designs and custom parts business. Ness grew up in Oakland, CA, and started as a custom hot-rod car builder before making the transition in the late 1960s to customizing motorcycles. Ness’ first custom motorcycle build — a 1947 Harley-Davidson Knucklehead he bought for $300 and known as “Untouchable” — was a hit when he entered it into its first show. The attention Ness garnered from that first bike prompted him to open a motorcycle painting business. Soon after that, he branched into custom parts that he made and sold at his shop and through catalogs and shipped nationwide. Ness’ custom bikes were known for their low-slung, stretched-out look. His trendsetting designs have been studied and copied by other bike builders and factory engineers. He was among the first people in the motorcycle industry to recognize the value of CNC machining technology to the production of aftermarket motorcycle parts. In 2008, the AMA Motorcycle Hall of Fame honored Ness’ contributions to motorcycling with “Awesome-Ness,” an exhibit that featured memorabilia and motorcycles, including “Untouchable” and 10 other custom motorcycles from Ness’ personal collection. Early this decade, Ness worked with Victory Motorcycles on the Arlen Ness Vision, a hot-rod version of the Victory Vision touring bike. Ness was inducted into the AMA Motorcycle Hall of Fame in 1992. It is with heavy hearts that we announce Arlen Ness the visionary, loving husband, father, grandfather and leader of our family passed away last night, March 22, 2019. Arlen passed away comfortably in his home surrounded by loved ones after the most creative and inspirational life anyone could imagine. The most important things in Arlen’s life were his wife of 59 years Beverly, his children, grandchildren, friends and motorcycles. Arlen once said that ‘Motorcycling has been a great ride…my whole life since I’ve been motorcycling has been wonderful. I’ve met so many nice people. Friends all over the world…. We can go almost anyplace and stay with friends. It’s been great.’ With few words Arlen conveyed his priorities every day, family and friends. Everyone who knew Arlen respects him for his achievements and for who he was as a person, both of which are superlatives. The respect is how Arlen came to deserve the commonly spoken nickname ‘The King of Custom Motorcycles.’ Arlen rarely reflected on his own success. He never planned for it; this is because what he achieved had never been done before; it had never been dreamt of. Arlen has touched the lives of our family, the Arlen Ness team and thousands of others around the world with his genuine character. We will announce a memorial service and celebration of life after some private time and appreciate your understanding. We thank you for your respects and condolences.